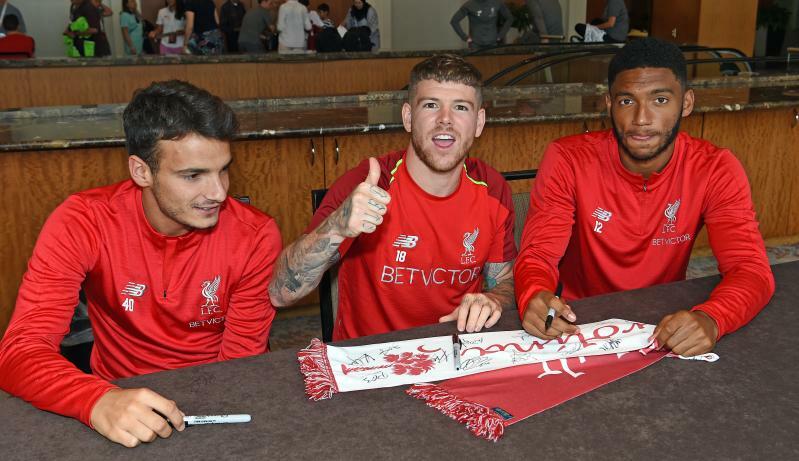 Follow the latest news, updates, videos, photos, social media buzz and more on day two of Liverpool's pre-season tour, with the Reds set to face Borussia Dortmund in Charlotte. As well as providing an update on Joel Matip's injury, the manager reflected on the result and the performances of Naby Keita and Daniel Sturridge at his post-match press conference. 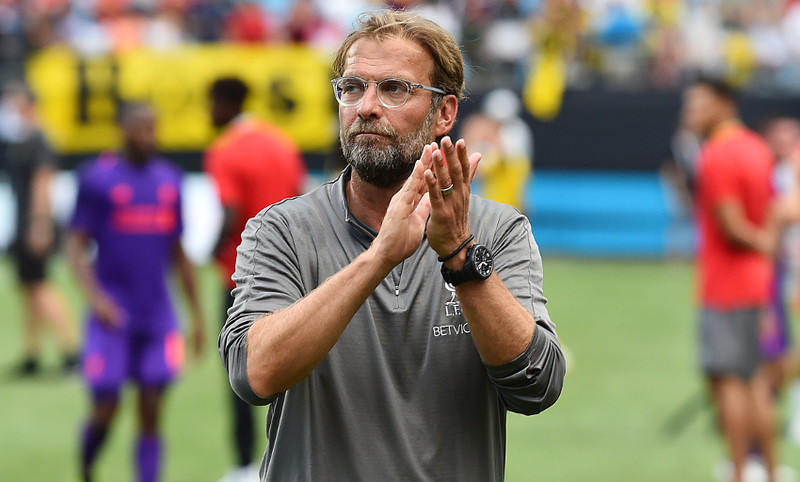 Liverpool suffer a 3-1 defeat in the first game of their United States tour as they fall to Borussia Dortmund in Charlotte. The Reds took a first-half lead through Virgil van Dijk, but the German club hit back after the break with a brace from Christian Pulisic and a late effort via Jacob Bruun Larsen. 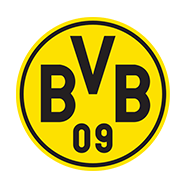 Dortmund make sure of the win as Brunn Larsen sweeps in from close range after Karius had parried an effort from Pulisic. He might have won it for Dortmund here as he caps off a counter-attack by sliding into the back of the net from the edge of the area. Gomez meets Milner's corner with a header, but it's too close to Hitz. Solanke plays a brilliant ball into the path of Moreno's run into the area with the outside of his right boot. The full-back tries to stab it beyond Hitz, but it's straight at the 'keeper. Woodburn spins and shoots on the edge of the area after Milner wins the ball back; however, it's straight at Hitz. The American forward nets from the spot with aplomb. Pulisic goes down under a challenge from Klavan and the German side have a spot kick. Ojo is so, so close to doubling Liverpool's lead. Woodburn does well to win the ball back, Sturridge collects and plays an inch-perfect pass into the path of the winger's dart into the area. He pushes it ahead of the last defender before attempting to steer under Hitz. However, the goalkeeper manages to get a touch and deflect it onto the crossbar. Nat Phillips comes on in place of Nathaniel Clyne. Solanke is an inch away from making it 2-0 as he glances Milner's cross from a short-corner routine just wide of the far post. Unlucky. Now Sturridge takes aim from distance, but his low strike is well off target. Milner picks up the ball 20 yards out and sets himself to shoot. His curler narrowly evades the top corner. Sturridge does brilliantly to create space for a cross on the left, but his driven ball into the six-yard box is scrambled away by Dortmund. Eight changes at the break for Liverpool, with Nathaniel Clyne, Joe Gomez and Loris Karius remaining on the field. 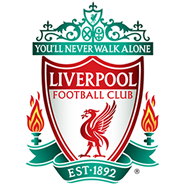 Second-half team: Karius, Clyne, Gomez, Klavan, Moreno, Milner, Keita, Woodburn, Ojo, Sturridge, Solanke. Liverpool start the second half in Charlotte. Virgil van Dijk's header after 25 minutes is the difference between Liverpool and Borussia Dortmund at the halway stage in Charlotte. Dortmund work a good opening inside the Liverpool box as Wolf collects the ball inside the right channel. 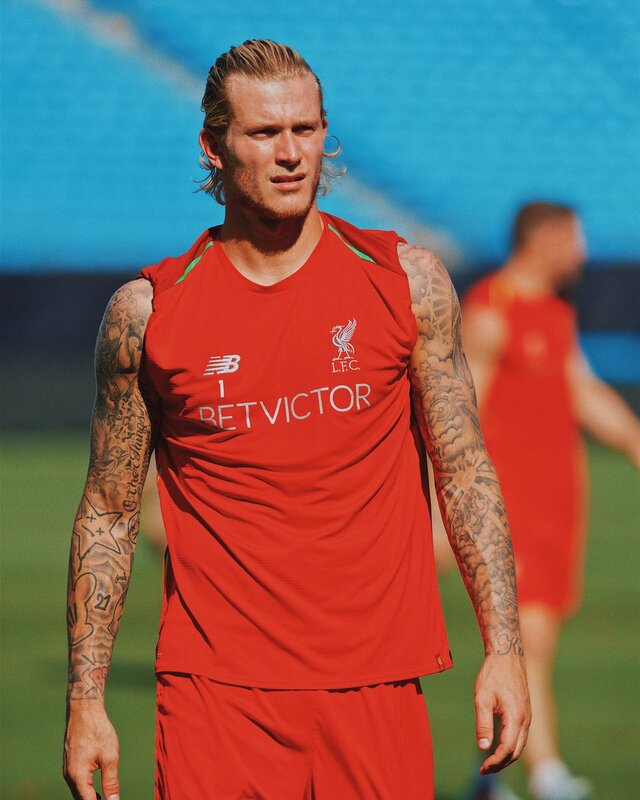 His low ball into the six-yard area is dangerous, but Karius collects. Liverpool lead in Charlotte as Dortmund fail to properly clear a corner. 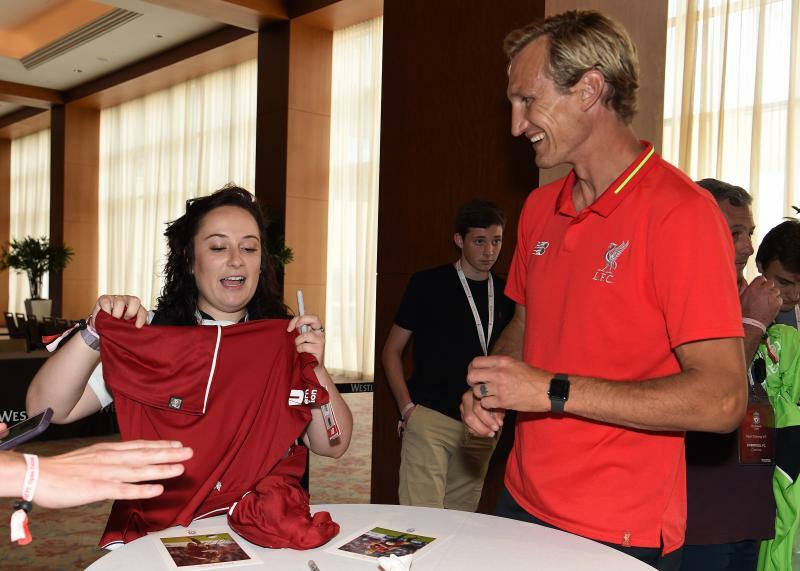 Robertson collects on the left and whips a ball into the centre, where Van Dijk plants a firm header beyond Hitz. 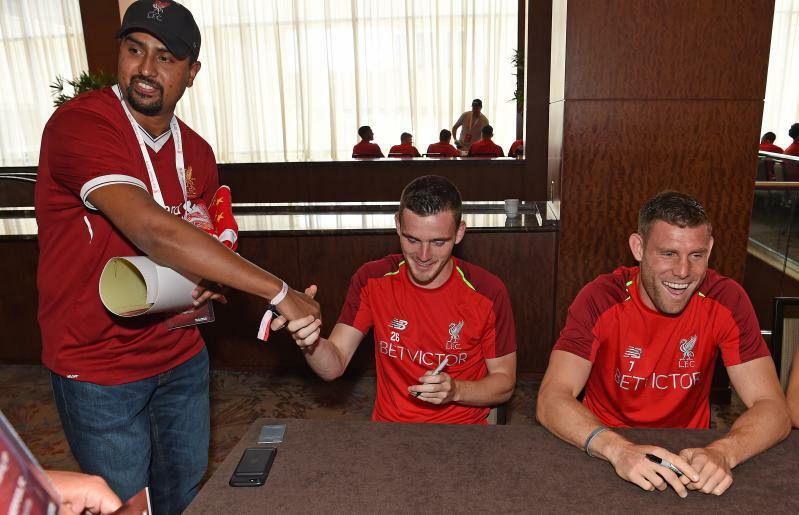 Correction, Liverpool are sending on Joe Gomez to replace Matip. And, after a short wait for the ball to go out of play, he's coming on now. Blow here for Liverpool as Joel Matip limps off and cannot continue. Nat Phillips will come on to replace him shortly. Meanwhile, Jordan Henderson has just posted a shot of him watching today's game on Instagram stories. 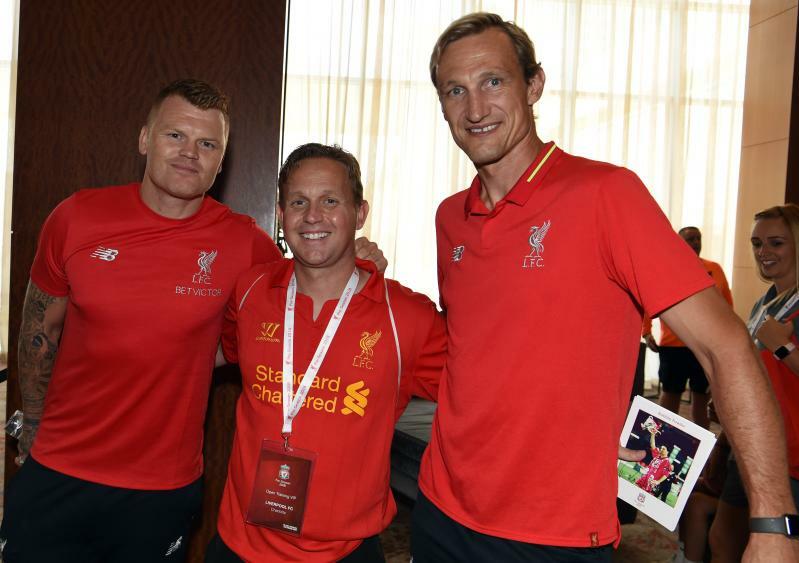 The skipper is set to return to Liverpool on August 5 after his World Cup heroics with England. 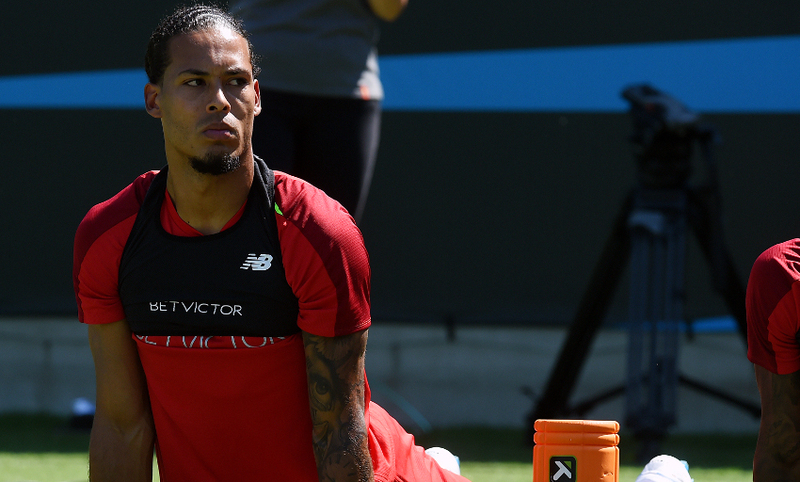 Van Dijk does well to cut out a threatening ball into the area by prodding it back to Karius. Karius races from his goal to clear an attempted through ball, but his strike is collected by Wolf, who sends it back towards the net. Thankfully, it rolls wide. 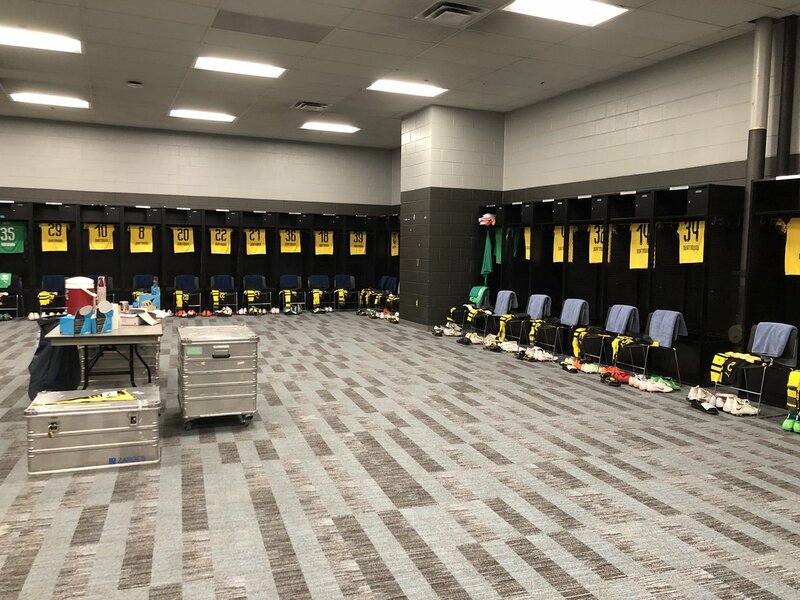 Borussia Dortmund start the game in Charlotte. 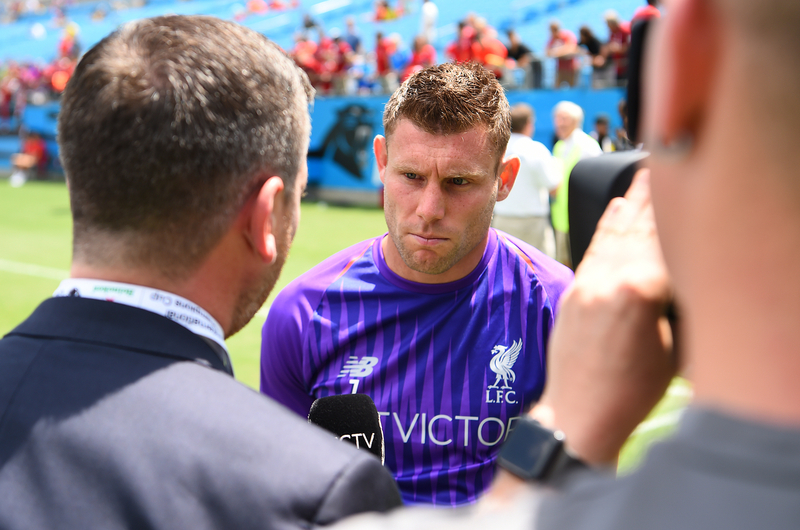 James Milner on pre-season: "It's tough but that's what pre-season is all about and that's what we expect. 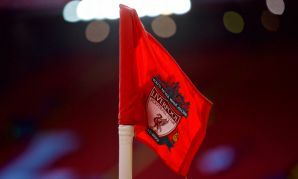 It stands you in good stead throughout the season. 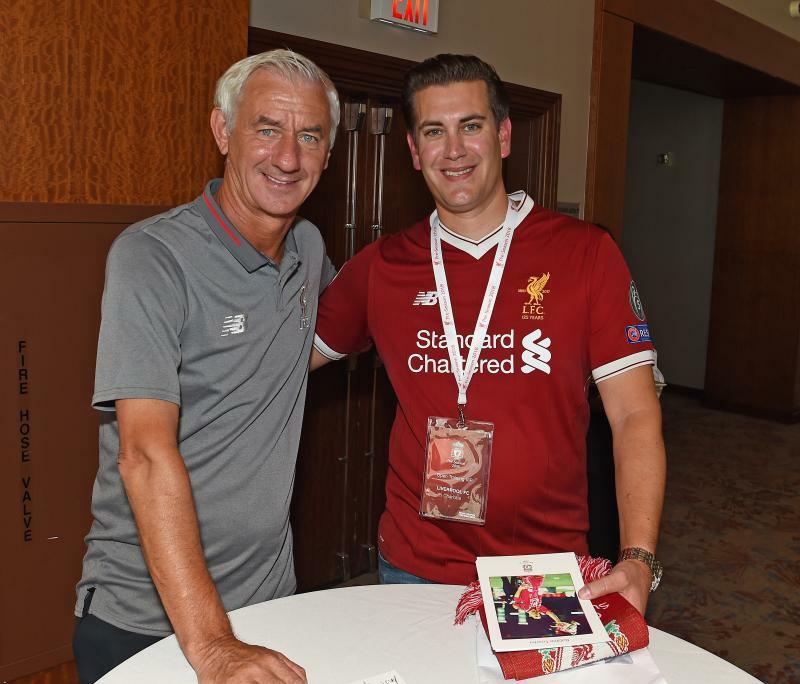 "The harder the pre-season is, once you get into the season anything that's thrown at you with injuries or tough periods, pre-season stands you in good stead and gives you a good base. "When sessions are getting harder and games, you stick together and need your mate. 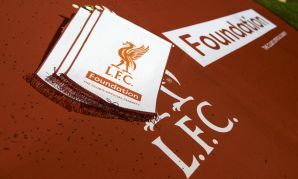 That's what it's all about: being a good team, being a successful team and having that team spirit." 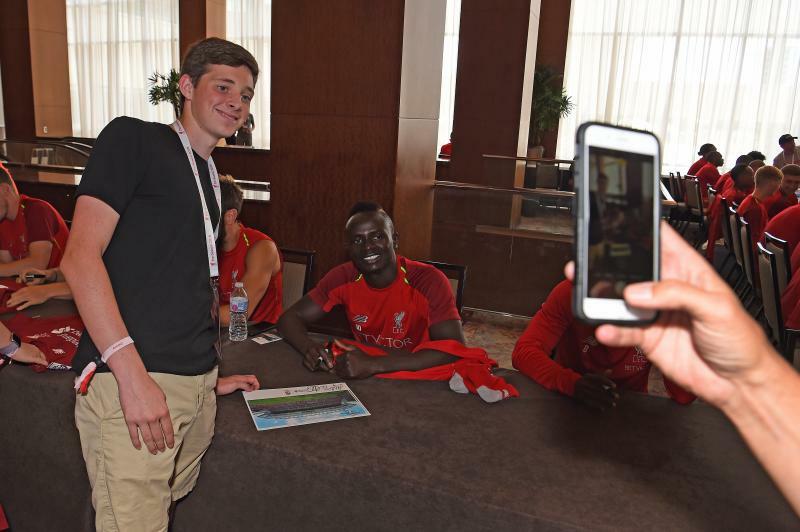 Liverpool have a 23-man squad available for the ICC clash with Borussia Dortmund in Charlotte. 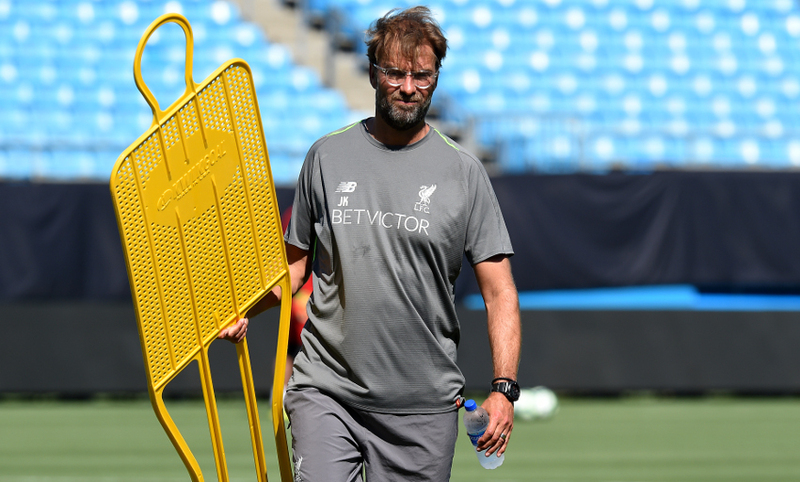 As in the Reds' four local friendlies, Klopp is expected to make 10 changes at half-time to spread game time around his group of available players. 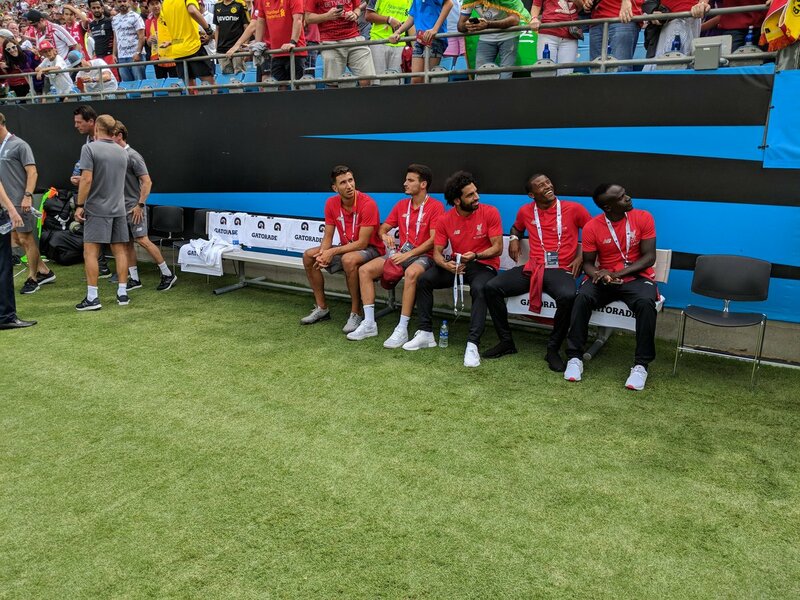 Liverpool starting XI: Karius, Clyne, Van Dijk, Matip, Robertson, Fabinho, Lallana, Camacho, Markovic, Jones, Origi. 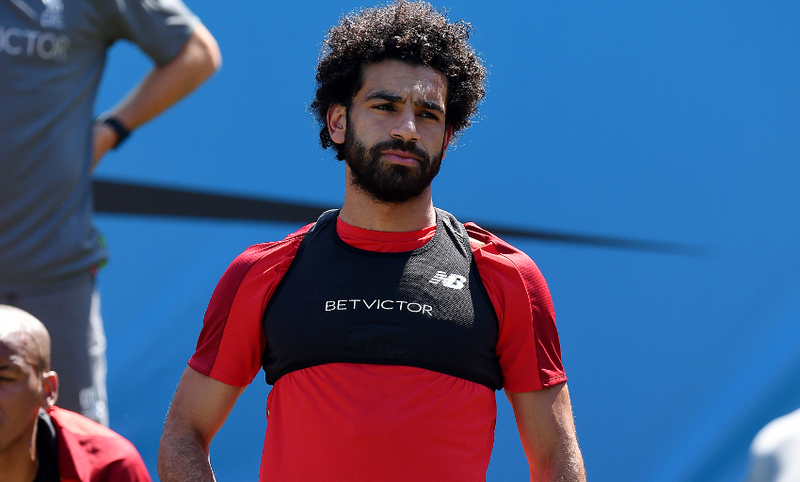 Substitutes: Kelleher, Grabara, Milner, Keita, Gomez, Sturridge, Klavan, Moreno, Solanke, Phillips, Ojo, Woodburn. 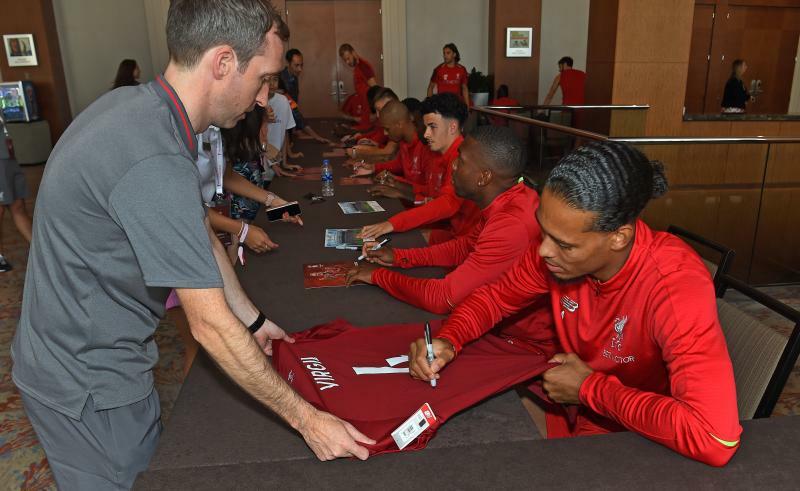 The Liverpool squad held a meet-and-greet signing session at the team hotel on Saturday, in which they signed autographs and posed for photos with supporters. 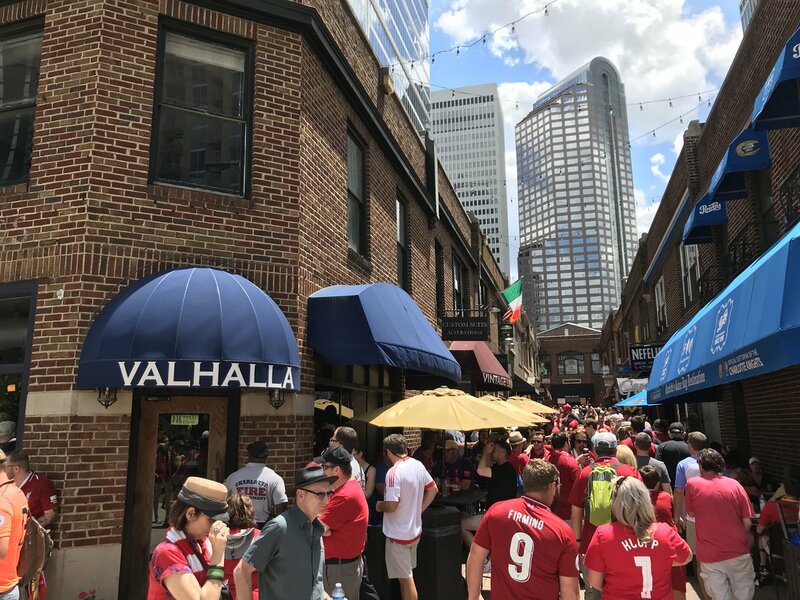 The atmosphere is building around the Bank of America Stadium as fans flock towards the match - and there's a lot of red on show in the vicinity. The players will make their way to the ground shortly, with kick-off scheduled for 9.05pm BST (4.05pm local time). 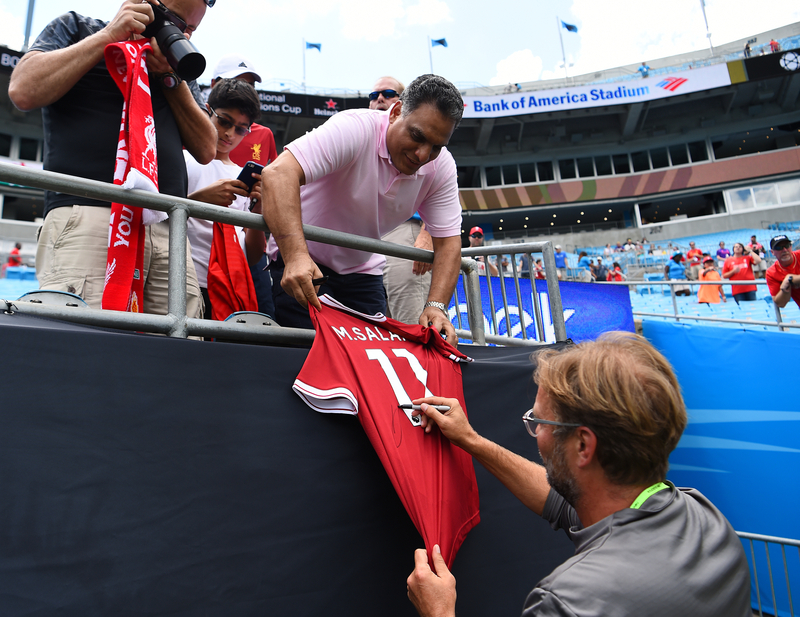 This isn't Liverpool's first outing at the Bank of America Stadium. 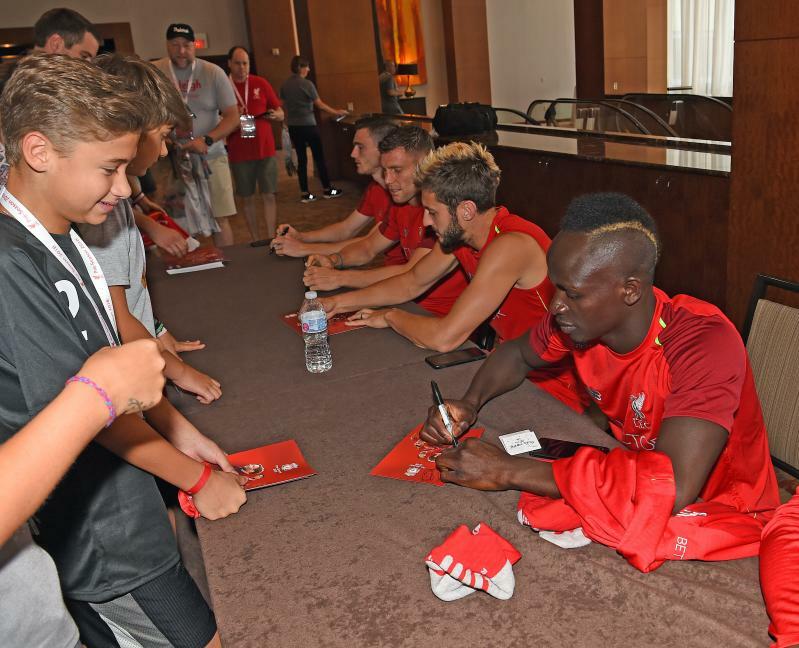 The Reds were in action at this venue in August 2014, claiming a 2-0 win over AC Milan through goals from Joe Allen and Suso. So, what is Jürgen Klopp looking to get out of tonight's game? 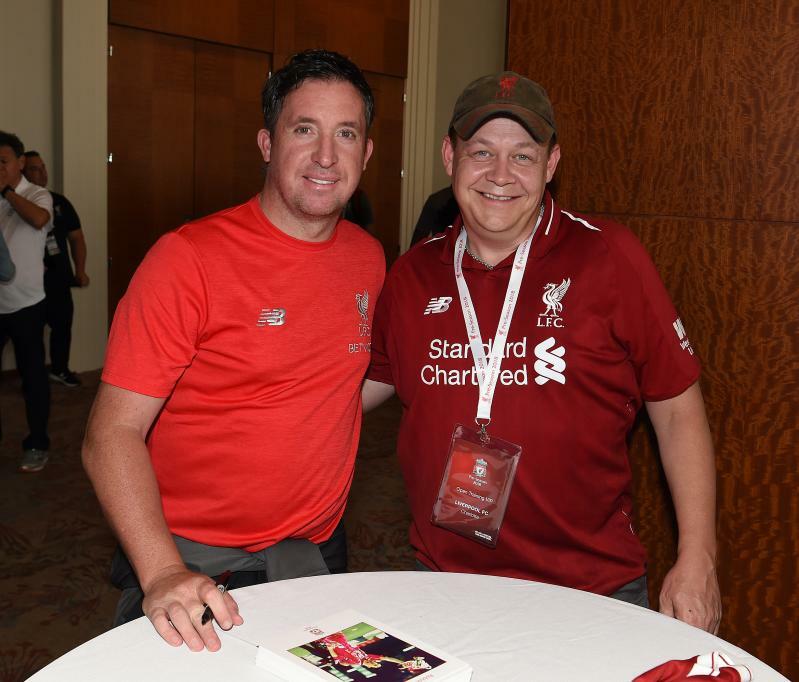 "These three games in a very short period are a challenge for all the teams involved, with the travelling between and all that stuff, but pre-season is a summary of challenges," he said at his pre-match press conference. "You have difficult circumstances. It was very difficult in Hong Kong last year, but we came through, we played football and that's what we'll do again because the season is not waiting for us. It starts on August 12 and we need to be ready." 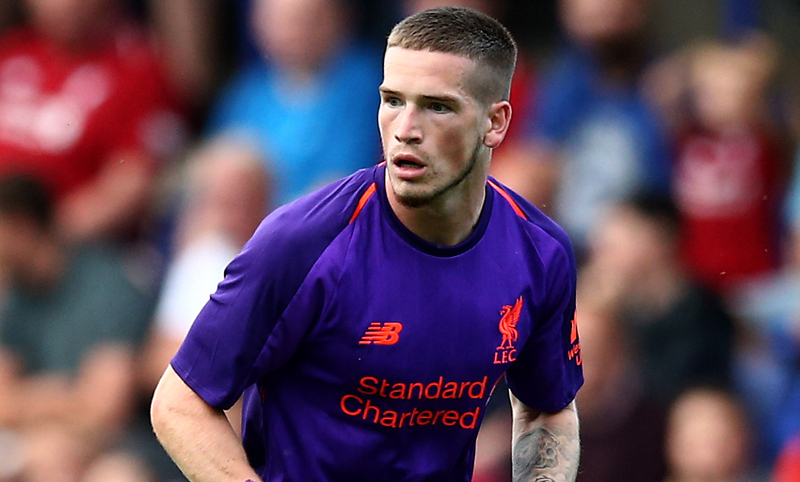 Ryan Kent has completed a season-long loan switch to Rangers, subject to international clearance. 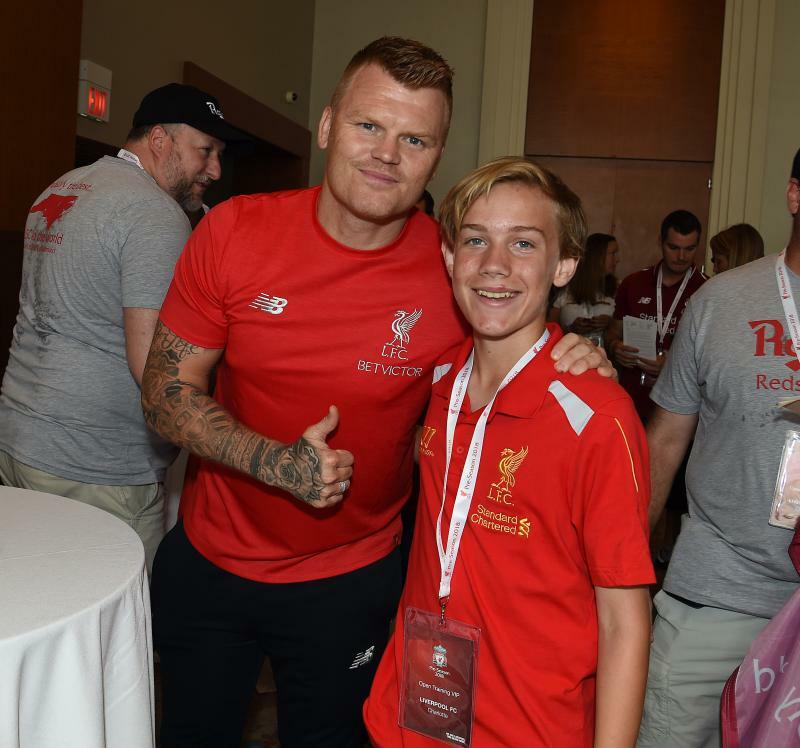 Lactate testing, nutrition, bonding, blisters - all parts of a normal pre-season when you play for a club like Liverpool. 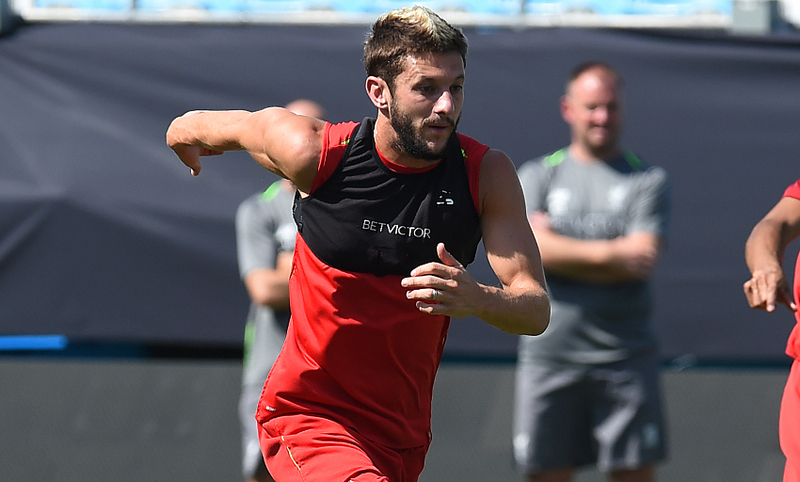 To get a better understanding of what this period represents for a professional footballer, we spoke to Adam Lallana, who is in the midst of his fifth pre-season with the Reds. The result is a fascinating insight, which you can read here. 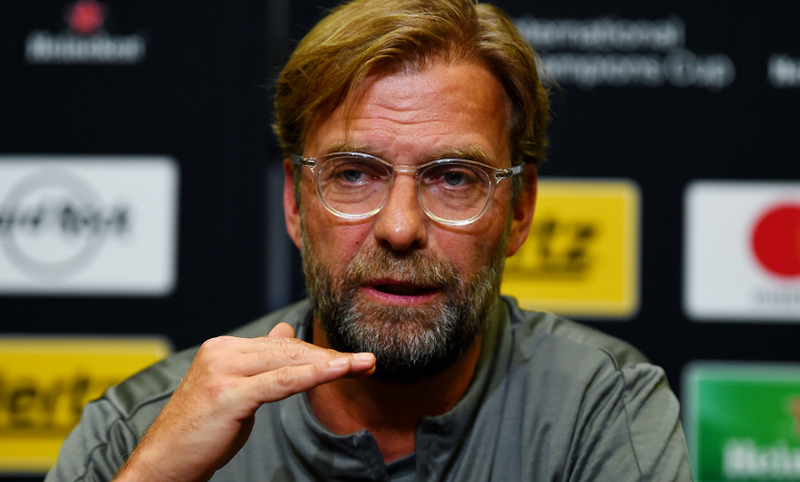 Jürgen Klopp previewed tonight's game against Borussia Dortmund with a press conference yesterday evening. You can watch the media briefing in full for free below. 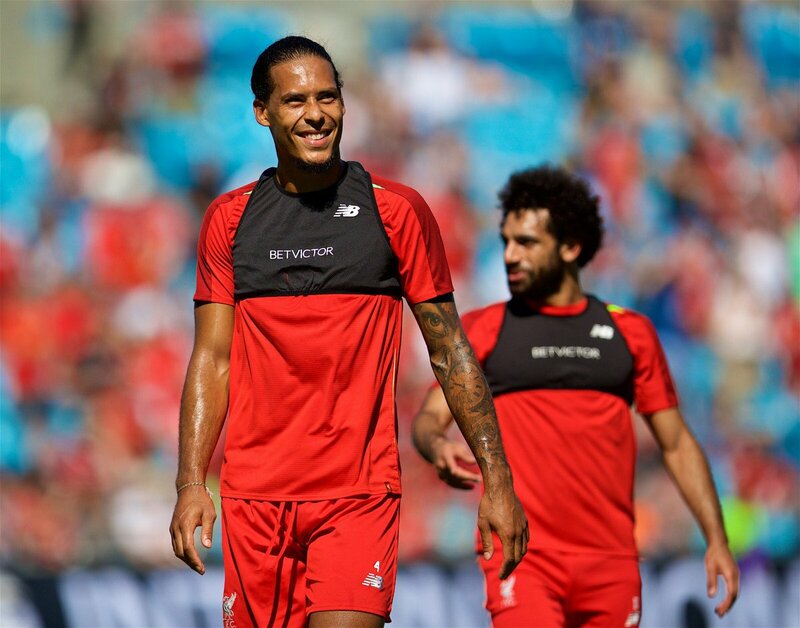 Joel Matip spoke to Liverpoolfc.com after yesterday's training session and revealed that he is feeling in good nick after missing the last two months of 2017-18 due to injury. "I'm on a good way," he said. "I still need some time but I feel good and I enjoy being back on the pitch. "I will go step by step and I think these next days will help me to increase my fitness level and to get in better shape." Read more from the defender here. We also streamed yesterday's session live on YouTube, and you can recap in full with the video below. 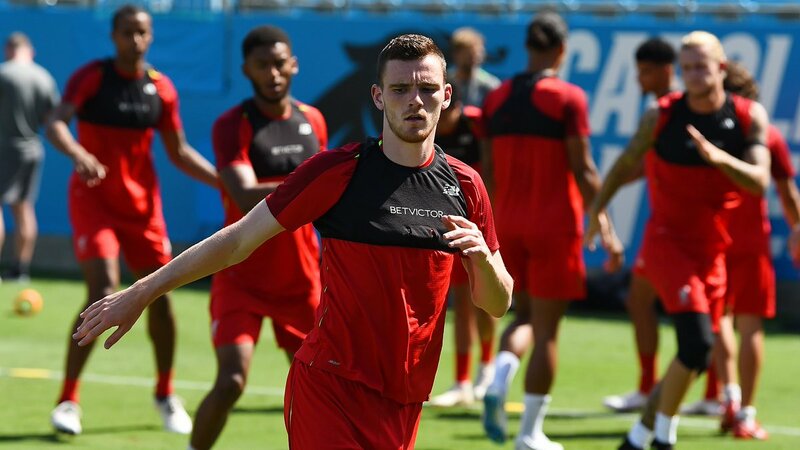 Liverpool's first-team squad familiarised themselves with new surroundings as they trained at the venue for tonight's game yesterday. 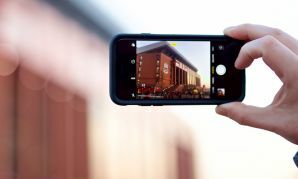 Check out a selection of pictures from the session below, or click here to view the full gallery. 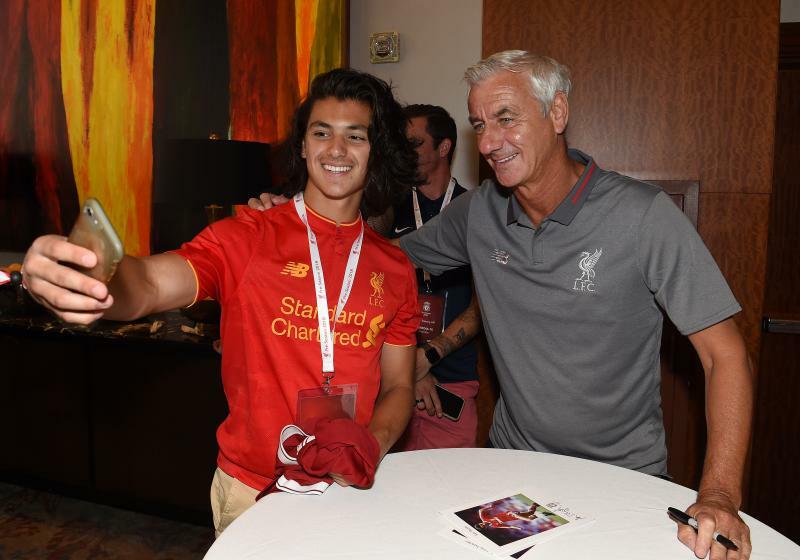 We're back for day two of Liverpool FC's tour of the United States - and it's matchday! 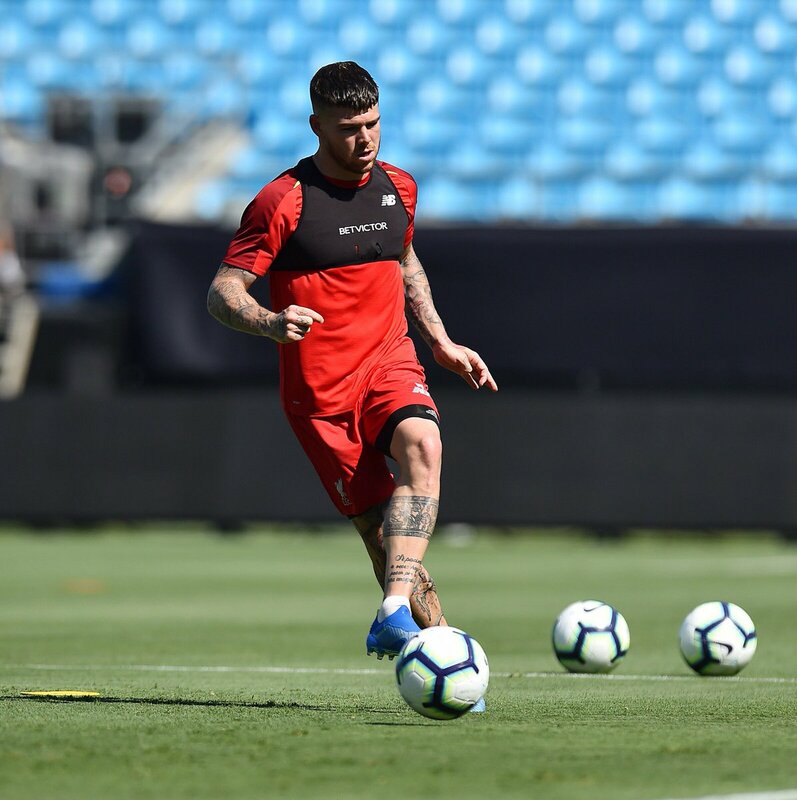 The Reds take on Borussia Dortmund at the Bank of America Stadium in Charlotte this evening, and we'll keep you up to date with all the goings-on Stateside ahead of the game.